Ocean Grove is full of historical things to do and a boardwalk that completed a remodel last year. Visit the Historical Society of Ocean Grove‘s Centennial Cottage museum to learn more about Ocean Grove’s history. You can also participate in walking tours, Victorian house tours, and a tour of the famous tent city. Take an afternoon to stroll down Ocean Grove’s boardwalk, grab a bite to eat at The Dunes Boardwalk Cafe, and then head to the beach to soak up the sun and watch the waves. Catch a concert or a Sunday morning service at The Great Auditorium’s massive venue. Venture out to nearby Asbury Park for even more boardwalk fun and visit The Stone Pony where Bruce Springsteen and other musicians performed. For breakfast, The Starving Artist at Days is a great cafe for an intimate meal. Try their banana walnut pancakes as you sit at a table overlooking the garden. The SeaGrass Restaurant in Ocean Grove offers local and fresh food in an upscale environment. The menu changes with the season, but you’re sure to love their selection of fresh seafood dishes no matter when you visit. Visit Del Ponte’s Bakery in Bradley Beach for the best Italian sweets in the area. Try some of their treats such as cannolis, danishes, and if you’re having your wedding in Ocean Grove, they offer wedding cake too. 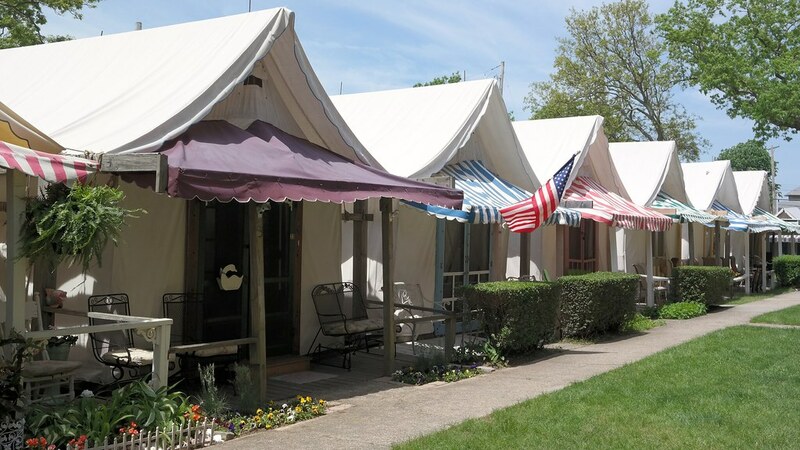 There are several hotels and resorts to stay in during your time in Ocean Grove. If you’re looking for a beautiful setting on the beach, The Inns of Ocean Grove is the perfect place for family or romantic getaways. The century-old hotel blends the charm of the Victorian era with modern amenities. It’s definitely a great alternative to busy Jersey Shore hotels.